Gabriella founded A.R.C.H.Y (Architecture Reaching Communities Helping To Inspire Youth) to disrupt the status quo and create more diversity in the Architecture, STEAM and Design fields. Currently, she hosts ARCHY workshops in schools, summer camps, and local Microsoft locations to provide kids a glimpse of these career fields and show them that these careers are available to them too. Gabriella has been awarded a number of honors awards, and features including 2018 Oui Stem Academy Outstanding Achievement Award in 2018, a feature on LinkedIn by Future Stem Gems, and a feature on ABC local First Coast News in 2018. She was recently featured in the editorial section of Business of Home August 2018 edition. She was also a featured workshop facilitator at CRC Foundation Youth Camp at Microsoft, in Jacksonville, Florida, and speaker at the 2018 Black Interior Designer’s Network Conference. Gabriella’s engagements include:speaker at 10th Annual $MART Women Make Change event hosted by Junior Achievement of North Florida, featured speaker at Glam Camp 2018 in Lake Wales, Florida, featured speaker at the third annual Wonder Women Tech Conference in Long Beach, CA., and featured speaker at the 2018 Southern Women’s Show in Jacksonville, Florida. Gabriella was a featured speaker at JAXPal DNA Unique 2018. As Gabriella learns, and mentors to learn architecture and design she has had the opportunity to speak with successful female CEOs like Tiffany Brooks of HGTV/OWN, Casey Kelley CEO of Blended Designs, and Tracey Friley Architect with Haskell. 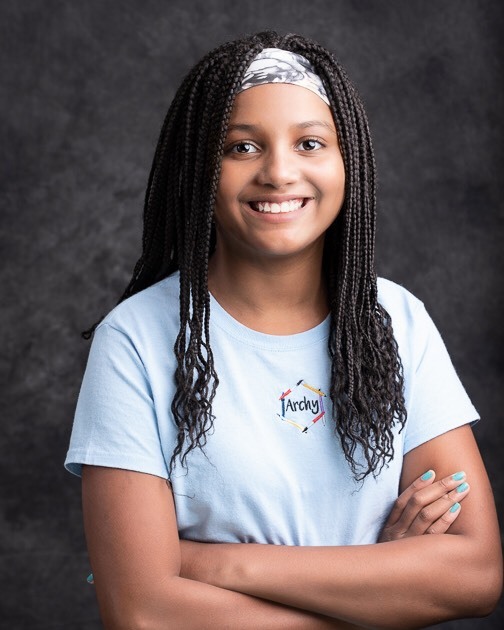 In 2019, Gabriella will launch her ARCHY clubs starting at River City Science Academy in Jacksonville, Florida. She will also launch an educational petition to increase Architecture in Duval County Schools. 1) What sparked your interest in STEM? Attending the 3d architecture workshop in AIA NYC. 2) What is your proudest accomplishment? Being selected as the youngest speaker at wonder women Tech in 2018. 3) What are your future aspirations? 4) Who and what inspires you? 5) What advice would you give parents trying to get there daughters more interested in STEM? What worked well for you? Ask them questions about what they like to learn. Take them to events in their area of interest. My mom taking me to workshops about Architecture really helped me. 6) What advice would you give young girls that are still exploring what a STEM career path can look like for them? Attend workshops like Archy, girls who code, and explore STEAM in their schools. A STEM/STEAM career can be different for every girl; make it your story. Gabriella’s accomplishments remind us that having an impact is achievable at any age. Not is she actively exploring her own interests in Architecture, she empowers others through her workshops, summer camps and speaking engagements. We can’t get enough of her positive attitude and beautiful smile.